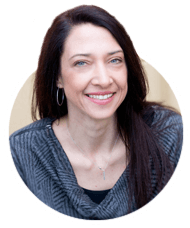 Stephanie Hayes is a business strategist who works with experienced, hard-working entrepreneurs who are ready to level up in business and in life. She helps business owners take control of their business and create a deliberate path to their next stage of success. Side-by-side, she helps them create a detailed, actionable, and incredibly specific game plan so they can shift quickly and become excited and confident about their business again. 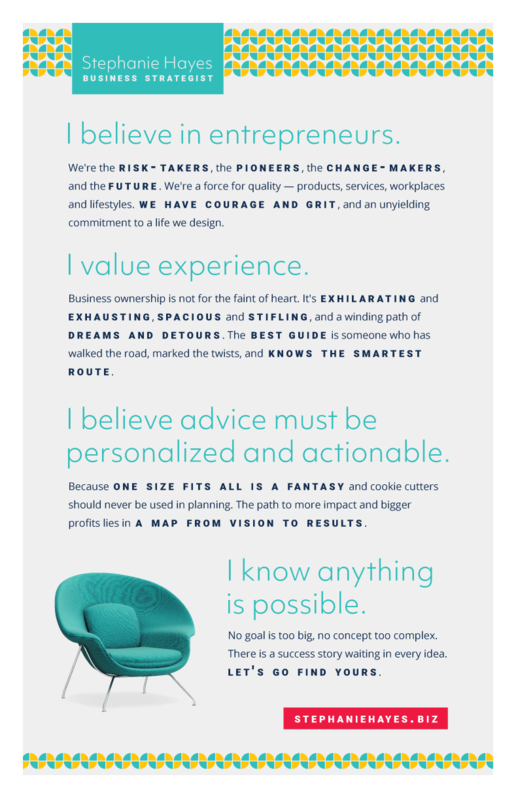 We created Steph’s manifesto to highlight her passionate belief in entrepreneurs and her conviction that anything is possible, you just need a plan. Linsey took me through a comprehensive brand identity process and it revealed to me who I really wanted to be in my business and as a professional. She took my passions and my desires and turned them into a powerful, moving manifesto that gives me chills.